Remember when you would go into a store and get a makeover? I don’t either - I love a makeup artist as much as the next gal (well, maybe more) and any every time I hang out with one, I learn so much, but I just do not have love for that store experience. 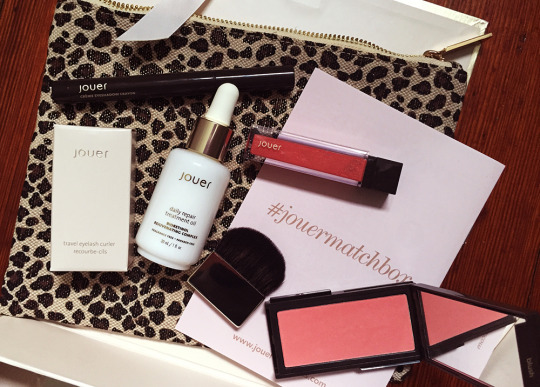 Happily, I recently got the virtual, non-pushy, super pretty and very effortless version of this from Jouer - a little treasure chest called Matchbox. It’s $45 for a subscription or $65 as a 1 time purchase - but look at all you get! It’s a curated collection personalized for your skin tone and type. Because it’s all from the same brand, the products really work together, and they’re full size and new, not the dregs of some last season samples like other beauty boxes (sorry, don’t get me started). I discovered not only a beautiful oil and blush, amongst other treats, and got an amazing mini eyelash curler (thank you! I travel a lot) … but the pièce de résistance was the Crème Eyeshadow Crayon in Renaissance ($24). It is LITERALLY the exact skintone of the kind of dark part of my eye skin (sorry if that is gross) and as a result it creates the most beautiful natural ‘smokey’ eye. I have been looking for this product my whole life, which is … priceless!